convictions and you try to bring them out through your work, she feels. In the process, the work may create a small or a large wave in the ocean. But you do your work regardless of the size of the wave. And the intention is to create work that you have faith in, that you put your heart and soul into. If your work has the power, the change will come about on its own. Change is subjective, too. “By watching my dance, someone’s perspective on arts, or even life may change. For another, it may not. But you keep giving your best and with the right intention,” says Arushi, the Odissi dancer of repute. Watching her solo recital on National television yesterday night, I kept wondering how profound is this observation. logic behind it. Recently, she did a production called ‘Sama’ with a French contemporary percussionist, Roland Auzet which was presented across Europe and Taiwan. Even though they were featured at various contemporary festivals, her part in it stemmed essentially from Odissi. “So far, I have not incorporated modern moves in my dance, since I have not yet felt the need. In dance, there are ways of arriving from one posture to another. I try to create new ways of moving from one posture to another, which at once lends a certain degree of freshness, yet it is rooted. The aim is to strike the right balance; incidentally, life is all about finding that point of balance,” she adds. 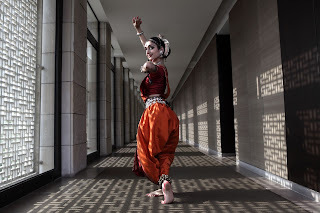 This beautiful artist has performed at France’s Theatre de la Ville, Musee Guimet, Cite de la Musique and Maison de la Danse, and danced at respected festivals in USA, UK, Austria, Germany, Spain, Belgium, Greece, China, Malaysia and Singapore. Arushi has also co-authored a book on the aesthetics of Odissi dance called The Bud and the Blossom by senior scholar and aesthetician Professor S K Saxena. 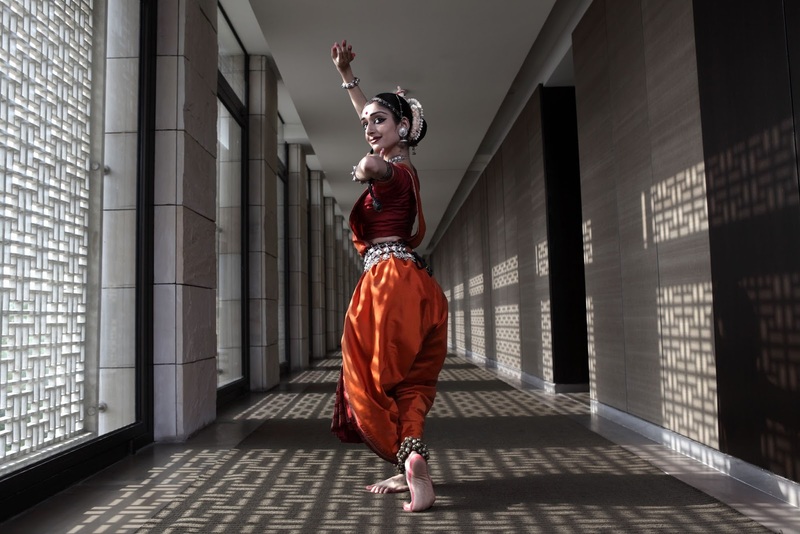 She is also empanelled with the ICCR and conducts dance workshops in France, USA, United Kingdom and Singapore and is a regular performer for SPICMACAY. 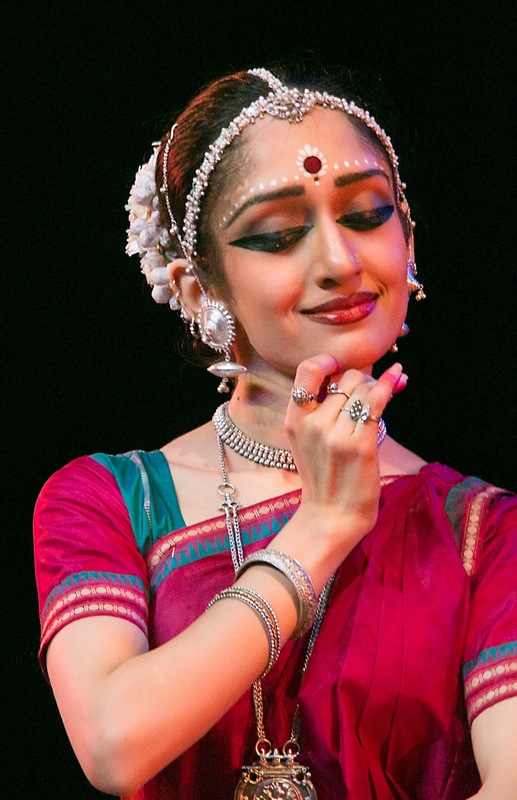 Arushi knows that no art functions in isolation, and Odissi is no exception. An art and an artiste are bound to be influenced, inspired by things around. 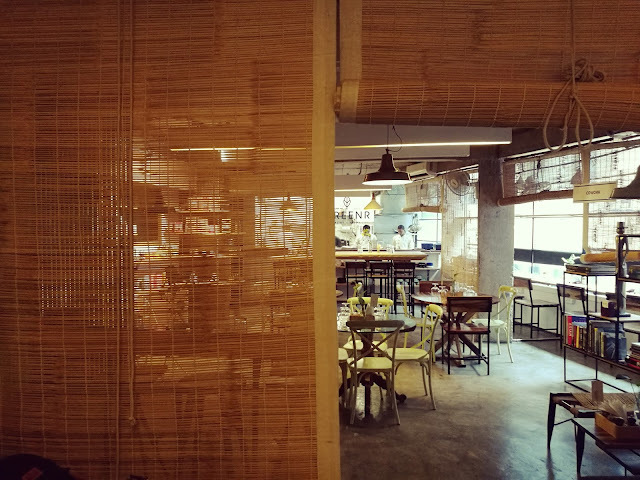 Trying to look at the scenario from an outsider’s perspective, she feels that the trend these days is to find ways of attracting the audience by offering something that is unusual and different. “Again, nothing is wrong with that ifit is achieved through an organic process, and not done for the sake of doing something new. It is hard for me to say how my style of performing is impacting the state of Odissa. I’ll let the audience decide that. But like I said, one should not create with the intention to bring about a change, rather the work should be so impactful that it brings about a change on its own,” says Arushi.